We read a lot about the best months to go on holiday to Bali. Because it is a tropical climate there, our winter time is the most comfortable time for us to visit, with lower humidity and fewer bugs to pester. The spring and autumn months are also possibilities and if you can avoid school holiday times you stand to get better prices. However, you may want to miss the month of March for a reason that may surprise you. In March, the Balinese celebrate their New Year’s Day. This is a 6-day celebration, with the third day considered sacrosanct; no business is conducted on that day. This means no taxis or airplanes, no bars, cafes or restaurants, no theme parks or other tourist facilities will be operating. Not only will the streets be deserted, but tourists are expected to stay within the boundaries of their accommodation. You will be given meals, but that is all. In fact, lights are not allowed and if you are in a hotel, the windows will have to be covered. If you are in Bali at that time, you do have to comply with these traditional regulations. If you leave your accommodation, the police will send you back, albeit ever so politely. It would not be so bad if you booked a Bali villa to stay in. At least you would have a whole house to relax in. But if you have a hotel room you will have to stay there for the whole day. Not something that sounds like much fun, unless you are an avid reader or crossword fan and came prepared. The evening before this day of silence – called Nyepi – is filled with many religious parades from about 4pm. But to enjoy this you have to also participate in the silence and restrictions of the next day, which lasts from sunrise to sunrise. The idea behind this is to trick the evil spirits into thinking the island is uninhabited so they will go away and leave Bali alone. In fact, this festival lasts for 6 days so you may think that just one day out of six is worth giving up in order to experience all the rest. So when in March does the New Year’s Festival fall? The date varies each year because it is set to fall on the day of the dark moon after the spring equinox. It is then that day and night are of equal time. There are several rituals connected with this time, that are held on the various days, but not all are connected to parades and celebrations. Some simply pass unnoticed by the tourist as they consist of things such as prayer and meditation. 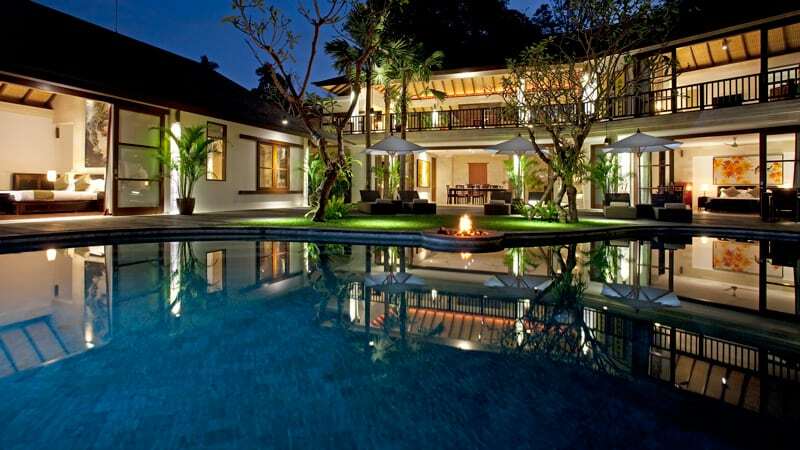 Easy Bali Villas offers Bali's best villas for rent. All staff speak English & Indonesian. For the holiday of a lifetime.